I'm going to take a break for the rest of the week to visit my parents in Iowa. I may post an occasional note from the road when something interesting comes along. 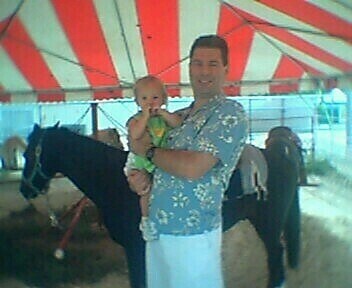 This picture was taken at the Boulder County Fair with Madisen. Although she is usually a dare-devil, she was afraid of the ponies. She enjoyed the petting zoo much more. Samsung A900: Toy or Tool?